Mirror, Mirror… Am I Ugly? There’s a new trend in self-loathing: Ask the world, via the internet if you are ugly or fat. 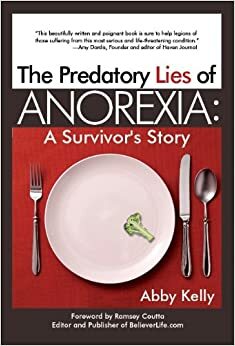 When I began my battle with anorexia, the conversation resembled Snow White, “Mirror, mirror on the wall…” Believe me, the mirror alone was convincing enough. My own reflection defeated me. It was painful enough to compare myself to my own sisters whom I believed were prettier, smarter, more likable. Imagining the stares of strangers on the street critiquing my body – too thin, too fat, plain, boring, stupid – lies I concocted in my own head replayed like broken records in my mind. It didn’t take a world-wide community to persuade me that I was unlovable and evoke behaviors that nearly killed me. I did covert jumping jacks in the bathroom after midnight. I counted, tallied, re-counted, calculated, re-counted, looked up and recounted every calorie consumed or burned. The image of my own face seemed burned into my retina every moment I was in public. I imagined what others saw when they looked at me. My emotions swung from suicidal over my failures as a person, to jubilant and haughty that I was thinner or more self-disciplined than those around me. Enter YouTube. What if you gave nearly everyone on planet earth the opportunity to confirm your private fears? What if 1,200 people thought it was their business to shape your self image. Apparently, a new community has evolved, one where youth, especially those 11-13, invite the world to either affirm them or destroy them. I don’t know what to make of this. It is disturbing no matter how you look at it. Kids come home at night to hide in their bedrooms with their cellphone cameras, critically slicing and dicing themselves and then splicing the images into videos for world-wide publication. How narcissistic. Why do we believe that everyone cares what we look like? Or, from the other angle, why do these kids believe they need everyone’s approval? And who are the self-appointed evaluators who believe their looks are superior enough to warrant criticism of another person? As much as I would like to sweeten this story by promising all little girls that they are indeed beautiful, I can’t. Obviously all our talk about “beauty being on the inside,” doesn’t really have much impact. To this day, I’m not convinced that I am beautiful. There was no turning point in my recovery from anorexia when I suddenly saw my internal beauty, or began to admire my eyes, appreciate my hair or be content with my figure. But I can suddenly, almost surprisingly tell you that I FEEL beautiful. Even in the morning, when I am praying and tears streak down my unwashed face and bed-head tresses drape around my ears – I feel beautiful. Somehow, someway – heavier than I have been in 15 years, I FEEL BEAUTIFUL. Oh to share that. Oh that Jesus would present himself to these little ones and express His beauty from their hearts, through their eyes and expressions and ultimately through their words and key strokes. That God would be glorified by the beauty He created in each of them. A wonderful write, Abby. And, thouhg you didn’t come right out and say it, I think you hit on the source of the problem. One I talk about often–focus. The “world” teaches and trains us to focus on the things of this world, making beauty and image the most important things to our young men and women (all ages, actually). The truth, nin my opinion is the two things most important in our lives are peace and joy, and they are easily aattainable when our focus is on Jesus! Keep up the good work, Abby!